Let's face it: Sometimes you need a gift to bring back for your kid, and you forgot to get it in the actual city. The Field Museum Store is here to save the day. 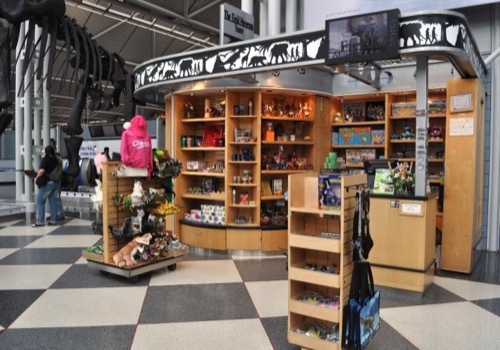 With locations in Terminals 1 and 3, you can grab a plush dinosaur or not-to-cheezy t-shirt to keep your arrival home tear-free. Travel hack: It's summertime. You have a credit card. Sunglass Hut has a no-questions-asked 90-day return policy. What's to stop you from grabbing a pair of snazzy (pricey!) shades, looking cool to all your geek friends at Laracon, then dropping them back off on your way out of town? Nothing. Nothing at all. I know a guy who has done it several times. 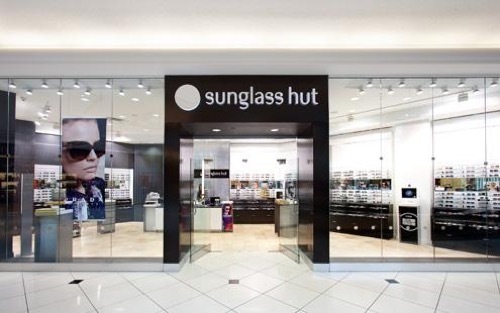 And if you happen to be pressed for time on your way out of town, which you won't, because your flight will be horribly delayed, you can always drop them off at the Sunglass Hut that's almost certainly waiting for you wherever you're headed.